What is a Residential HVAC Packaged Unit? Let’s face it… you have stuff, and it needs space! But when indoor space is limited, you may need to find alternatives for essential heating and cooling equipment. If this sounds familiar, a packaged system may be right for you! A packaged unit is an “all-in-one system” that can provide both cooling and heating from a single cabinet. The cabinet system can be installed at ground level, in a crawl space or on a rooftop. The single location frees up internal spaces for “usable” square footage when compared to a split HVAC system that needs some dedicated indoor space. With a packaged system, you can have space for those new shoes and have the space to be comfortable in your home! Packaged units have the main heating and cooling components in a single-boxed cabinet that sits outside the home. It’s a package! Packaged Air Conditioners: The compressor, coils, air handler are all housed in a single-boxed cabinet. The packaged air conditioner can also provide limited warmth by using an electrical strip heating. 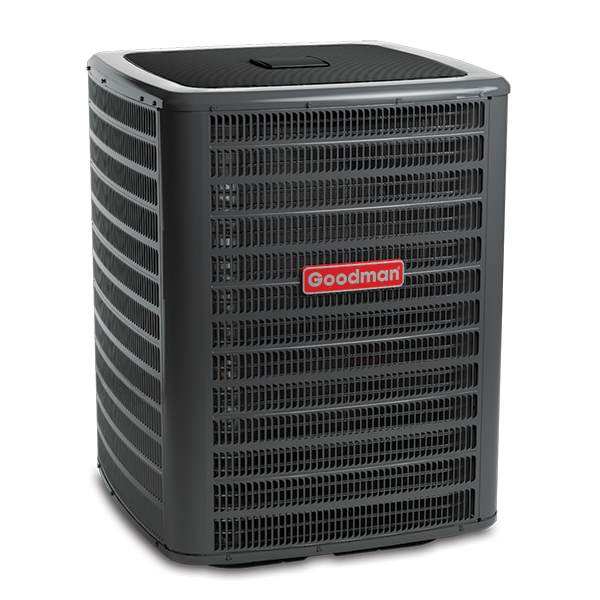 Packaged Heat Pumps: A packaged heat pump uses heat pump technology to cool and heat your home. Packaged Gas-Electric: The packaged gas-electric unit combines an air conditioner with gas-powered furnace performance. Packaged Dual-Fuel: The packaged dual fuel system contains a heat pump, capable of heating and cooling, as well as a gas furnace. This type of packaged system optimizes the heating source for the conditions. Operation depends on the equipment combination, but packaged systems typically heat and cool your home the same way their stand-alone counterparts do. By using electricity as its power source, the unit’s internal components cycle the refrigerant. Warm air is pulled in by a fan and then passes over the cold evaporator coil, cooling it in the process. The cooled, dehumidified air is pushed through ducts to the various spaces inside your home. Packaged Air Conditioners: In addition to the typical cooling feature associated with an air conditioner, packaged air conditioners are capable of producing limited heat with heat strip elements. With electricity as the fuel source, the heat strips are warmed, and the air is heated as it flows over the strips. The warm air then travels through ducting to increase the interior temperature of your home. This type of heating component is mainly used in warmer climates where heat is only used occasionally. 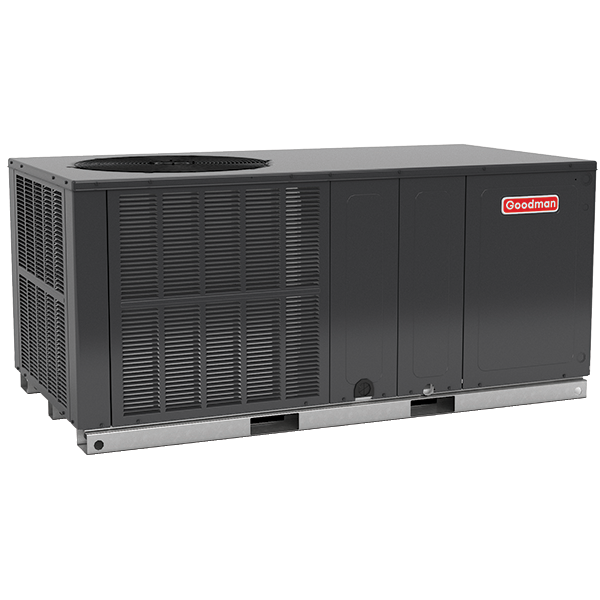 Packaged Heat Pumps: The heat pump transfers heat by reversing the refrigeration cycle used by a typical air conditioner. Through a cycle of evaporation and condensation, the indoor coils are heated, and the air is pushed over the warm coils. From there, the warmed air is blown through the ductwork to increase the temperature in the interior rooms of your home. Packaged Gas-Electric: The heating component of a packaged gas-electric system is a gas furnace. The heating portion of the system uses natural gas or propane to combust inside the heat exchanger, creating heat. As cool air from the interior spaces is pulled in through the return ducting, the blower motor then blows the air over and through the hot heat exchanger, heating the air. The warm air is then circulated throughout the home through the ductwork. Packaged Dual-Fuel: Your dual-fuel packaged system has two heating options, a heat pump or a gas furnace. When installed and configured correctly, your dual fuel system can determine whether it’s more economical to heat your home using electricity or gas. When moderate heating is required, the heat pump automatically reverses from the air condition mode to provide warm air. 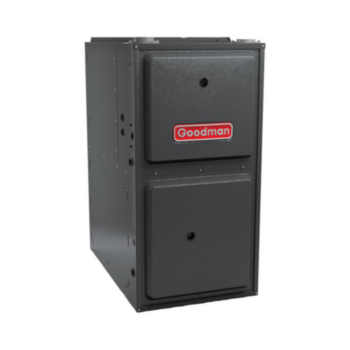 When temperatures fall further, the system uses the gas furnace to provide reliable, consistent heat.